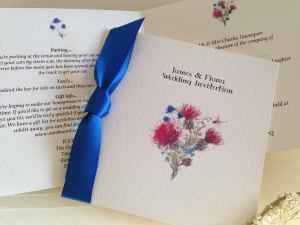 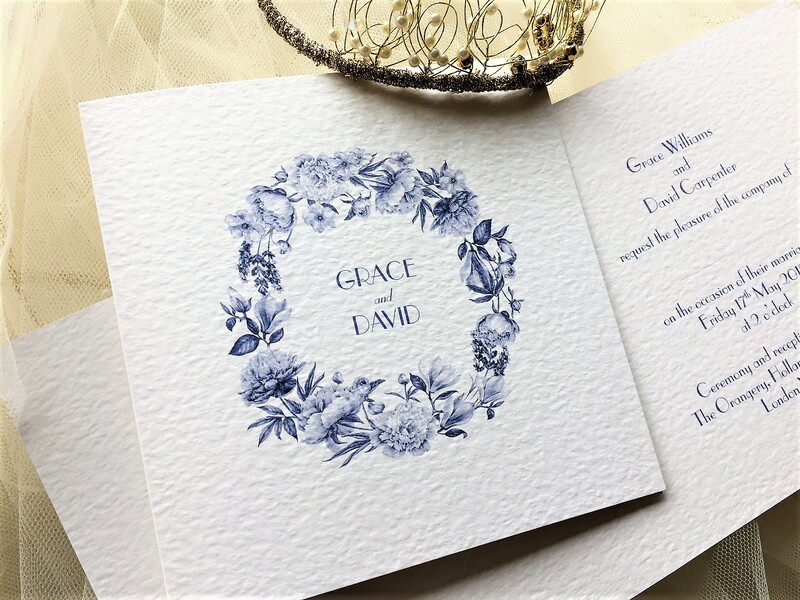 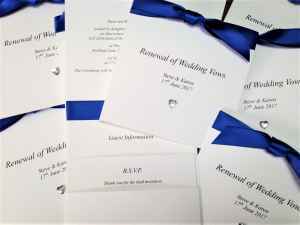 This is just a small selection of Royal Blue wedding invitations to give you some ideas. Royal blue is a universally flattering colour and has been seen all over the runway in the past few years. 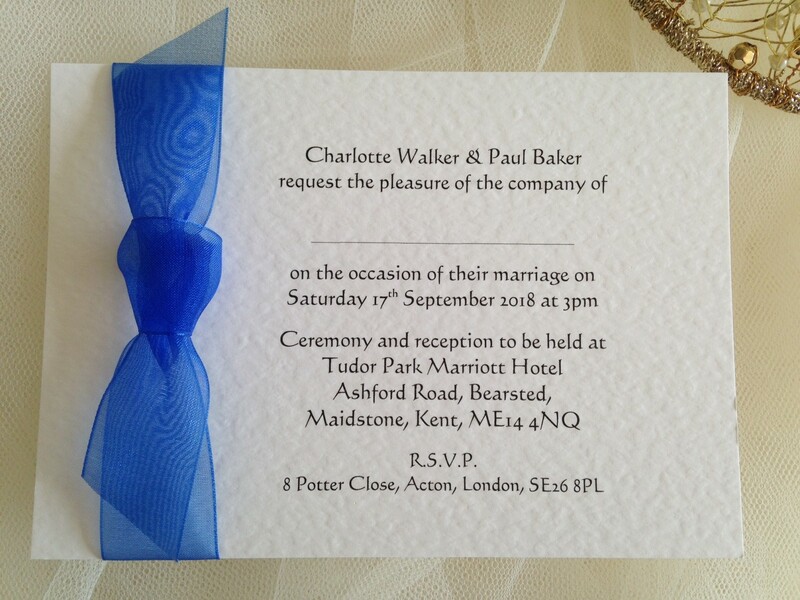 The Duchess of Cambridge wore a royal blue dress for her engagement photos to Prince William. 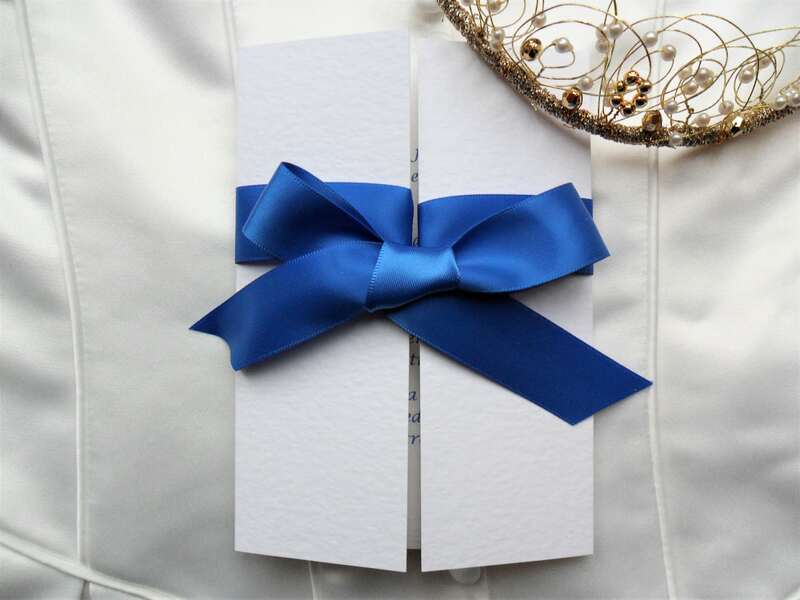 Royal blue is a no brainer for any classy wedding. 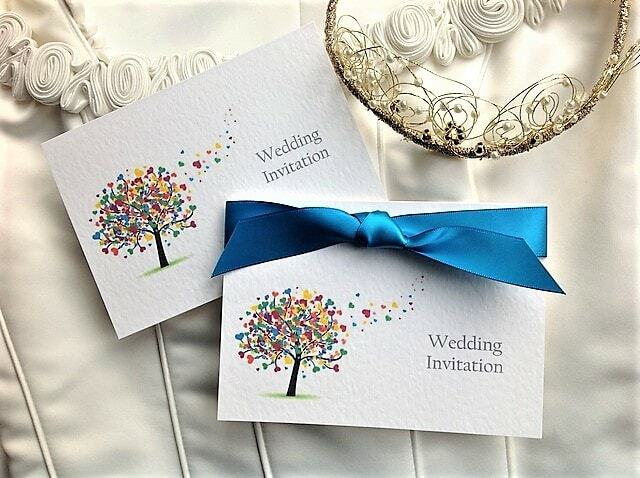 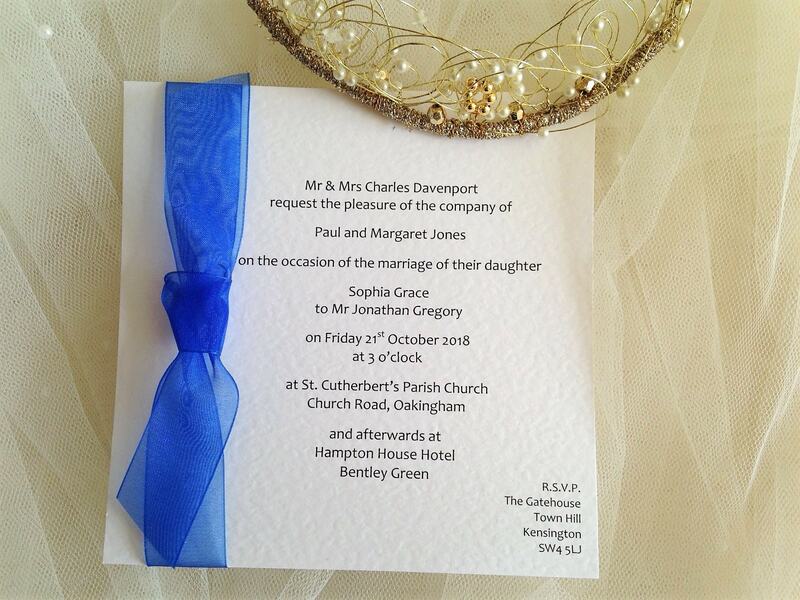 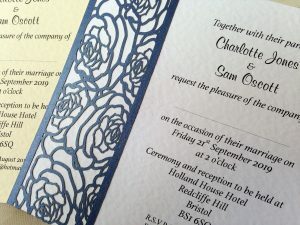 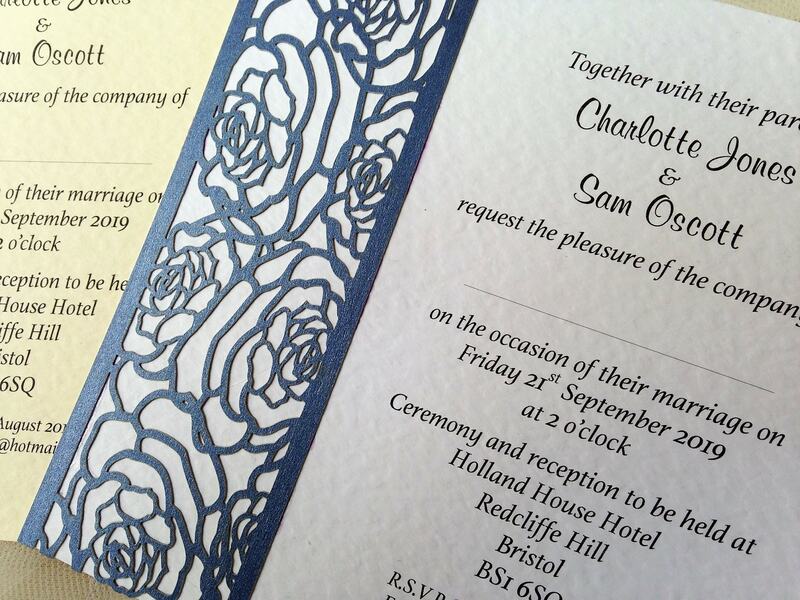 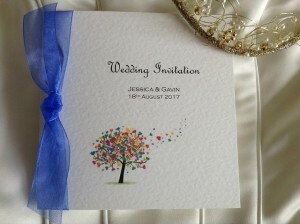 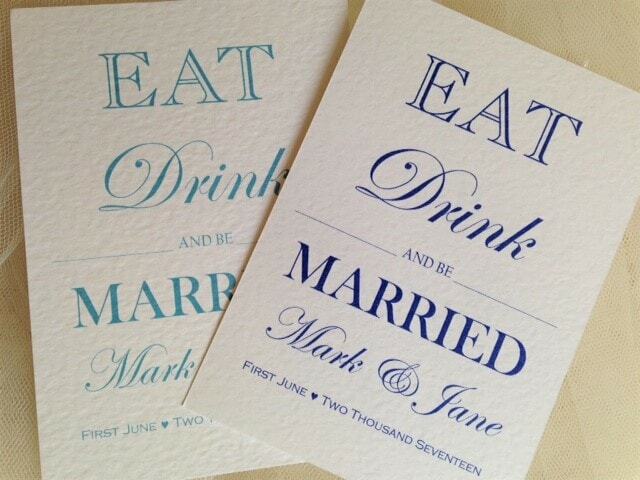 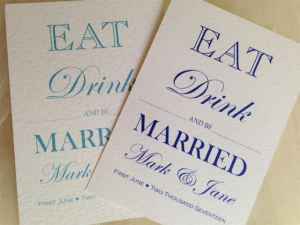 Most of our invitation designs can be ordered with a royal blue ribbon or we can print in a blue typeface. 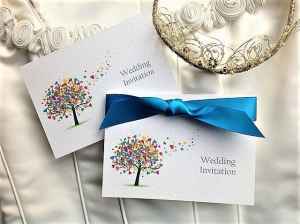 Order your royal blue wedding invitations today.